The musical stage adaptation of 2007's Academy Award-winning film comes to Broadway. Once is a small-scale but warmly affecting show, crafted with profound respect for the power of music. For anyone who feels that Broadway has become the domain of bloated spectacles and cynically overworked brands, this will be a refreshing artisanal tonic. The show wins its standing ovations the old-fashioned way: with a love story, great songs, compelling characters and inventive stagecraft. Once has something of the feel of a pub concert, and every effort is made to give the audience an intimate evening with the characters. Before the show, the actors, who are also the show’s musicians, play Irish standards in the Dublin pub set, and audience members are invited to join them for a drink from the onstage bar. Since Once is about musicians, the show feels like a play with music, because the songs are a natural part of the storyline and there is no spontaneous bursting into song. 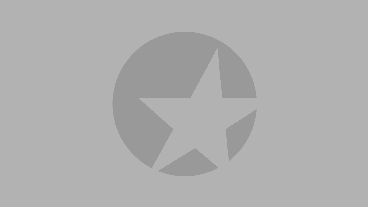 While the bittersweet love story between Guy and Girl is the show’s central plotline, there is plenty of humor from colorful characters like Girl’s Czech roommates, an Irish bank manager and surly music store owner. The tuneful score expands on the original movie's Oscar-winning hit, "Falling Slowly." Is Once Good for Kids? 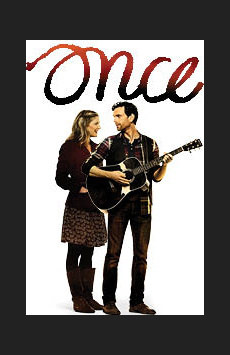 Once is a love story, but it doesn’t go past a PG-13 rating. There is a smattering of four-letter words and some mild sexual innuendo, but other than that it’s pretty clean. Kids would dig the communal feel of the piece, and the joy these actor-musicians clearly feel playing together is infectious for people of all ages.